It pays to be a regular. Sushi Yoshizumi opened 7 months ago, and this week marked my seventh visit. I dine with him every 4 weeks, and always reserve 2 months in advance on the dot. In those seven months, Yoshi-san and I have established a "chef - customer" relationship that allows for a true omakase meal. He knows exactly what my preferences are, and also makes an effort to order a few special, in-season neta to keep my meals interesting and to provide an element of surprise at every visit. This week was no different, he prepared some of my favorite items including neta that's quite hard to get in the US. First was some home-made ika no shiokara (squid guts fermented in salt and malted rice) - Yoshi knows this is one of my favorite snacks while drinking nihonshu. 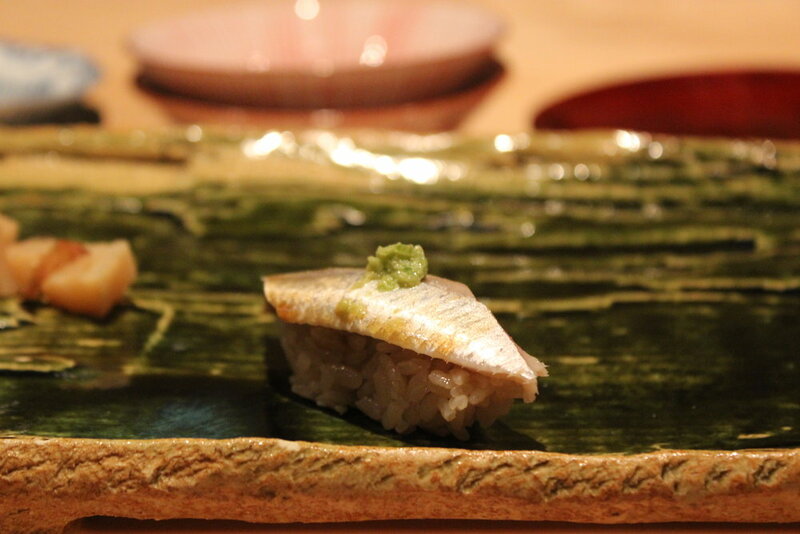 It was salty, slimy, delicious, and paired perfectly with my glass of junmai. 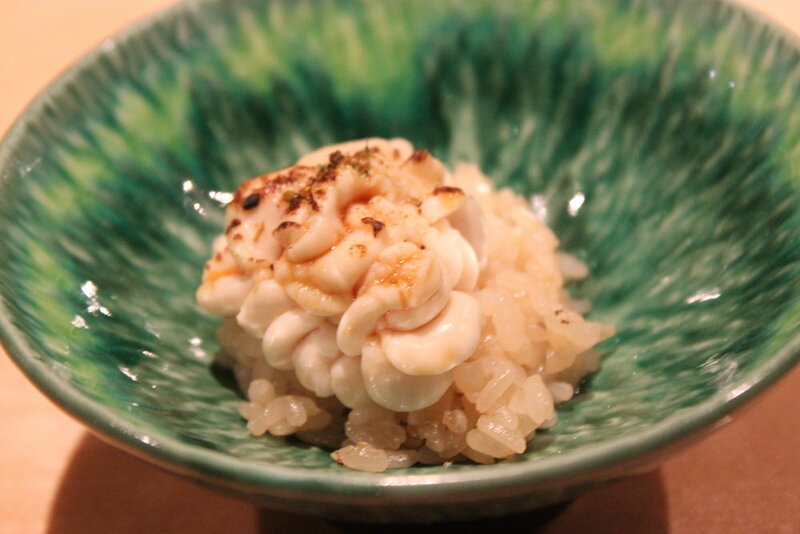 Other special treats included absolutely delicious shirako (cod sperm sac) in a bowl over rice: incredibly creamy and buttery, it worked well with Yoshi's akasu rice, and hard-to-find kawahagi (file fish) nigiri served with its own liver on top. 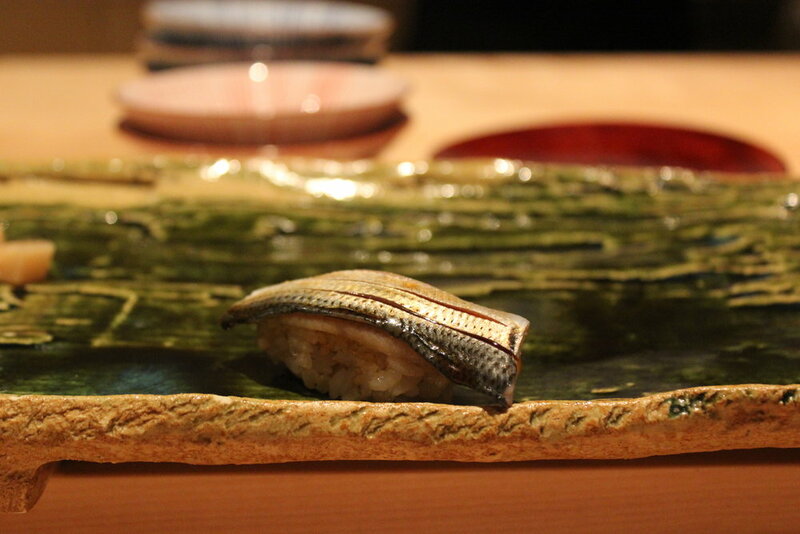 The major highlight of the evening might have been the absolutely wonderful kohada (gizzard shad) nigiri. Fatty hikarimono fish pair very well with Yoshi's sour shari, and this time the master added a dab of oboro (sweet ground shrimp) to balance out the sourness and add an element of sweetness to the nigiri. The five taste sensations were all present in that one bite, but never fought each other for dominance, each flavor followed the other in perfect harmony. A truly remarkable piece. Somehow, Yoshi-san's food seems to get better and better with every visit. 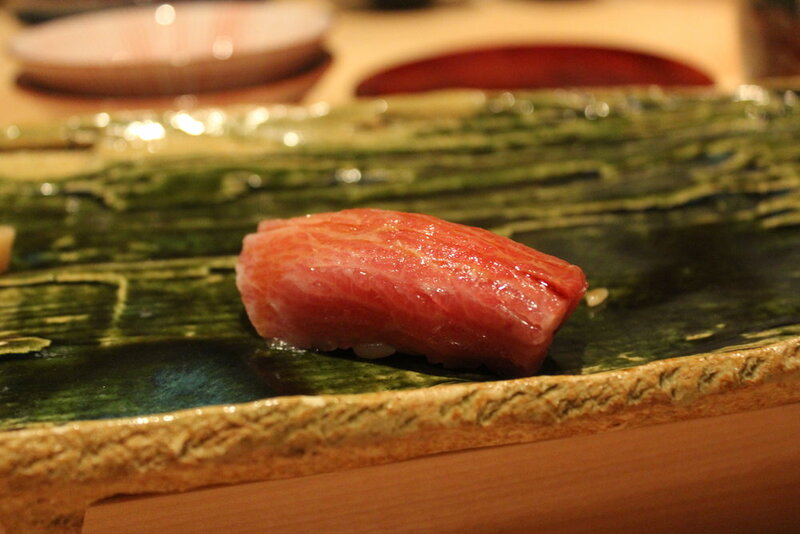 His shari, fairly strongly flavored with Edomae style red sake lees vinegar, is kept at body temperature throughout the meal, and works in perfect balance with each neta. 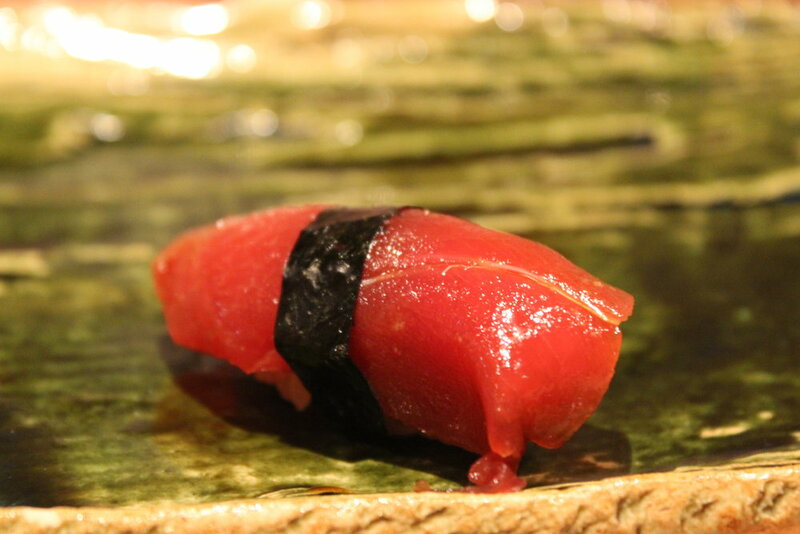 His passion for traditional edomae sushi really shines through, as does his dedication to the craft. He's also a wonderfully warm and friendly person to interact with, making a meal at his counter all the more enjoyable. We're quite lucky to have him in the Bay Area.